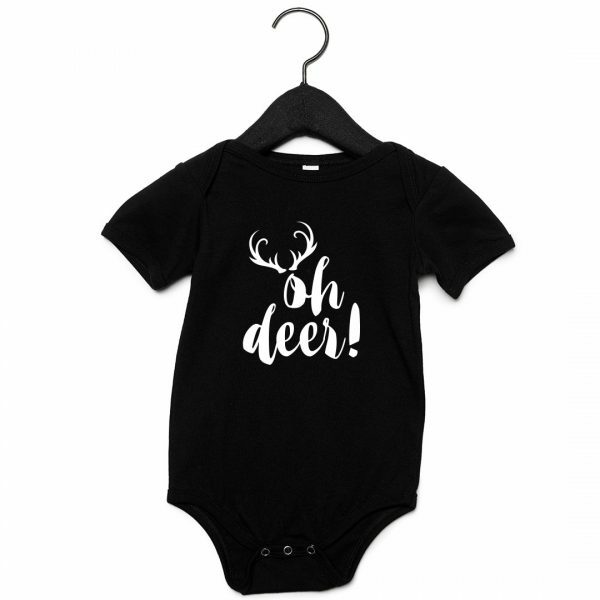 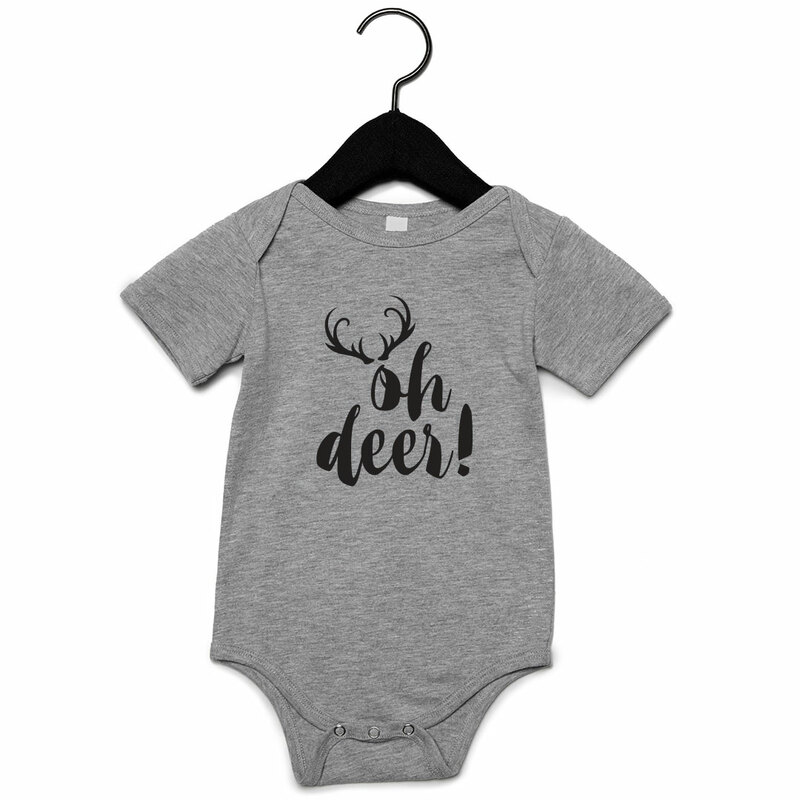 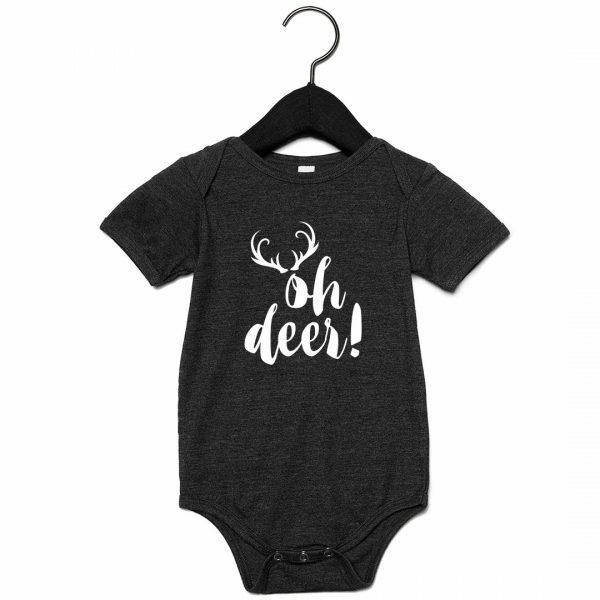 Our festive Oh Deer baby grow is one of our most popular designs, made with 100% combed and ring-spun cotton it’s comfortable as well as cute! 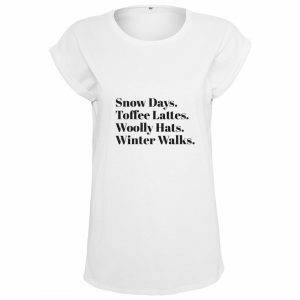 The envelope neckline expands to fit easily over the head and the three snap leg closure allows for easy changes. 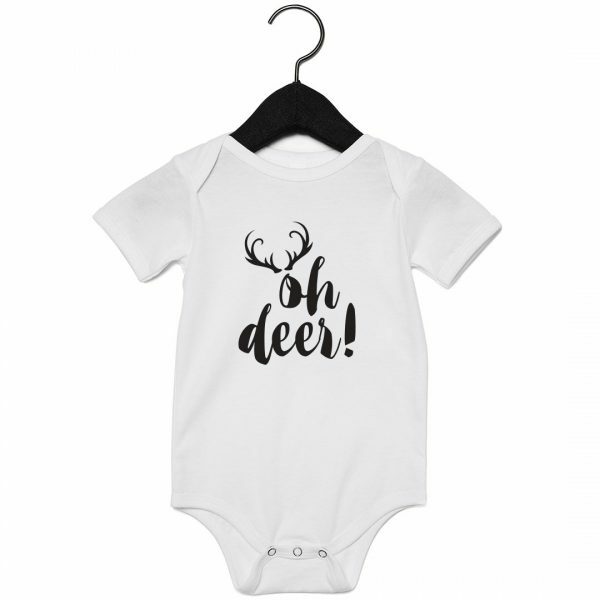 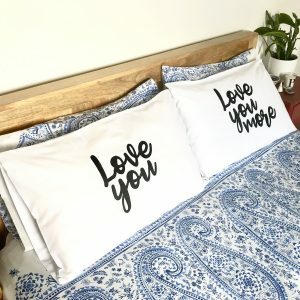 Just let us know your little one’s four favourite things in the whole world and we’ll personalise the baby grow with them!